When you work with General Maintenance Solutions, you can be sure of having the whole project taken care of. Our tradesmen cover every aspect of the job from start to finish, including tailoring the design, supplying and fitting the materials, and maintaining the installation further down the line. You will deal with one direct point of contact, ensuring that the process runs smoothly and that the entire service can be modified to best suit your needs. The installation of a brand-new bathroom or kitchen suite has the power to rejuvenate any property. During a free, initial consultation, we will discuss style preferences and take measurements before creating a truly bespoke design. If you are in need of inspiration, we are able to provide samples of our previous work as well as brochures filled with a range of suites, fixtures, and fittings. The brochures come from our reputable suppliers, all of which provide materials of the highest quality. Once the design has been agreed, and the materials have been chosen, we will source the suite and fittings before expertly installing them at your property. With the help of General Maintenance Solutions, you can adorn your garden with a stunning summerhouse. Designed in line with your style preferences and constructed by experienced builders, your summerhouse expands your living space and is perfect to enjoy warm and sunny days in. Alongside summerhouses, our team are also able to design and construct various other wooden extensions for your home. From bar areas and hot tub rooms to guest rooms and playhouses, we will design a space that is uniquely suited for your property. We will work closely with you to perfect the design and secure any planning permission that is required. Each member of our team is highly trained and qualified to complete many tasks, one of which is operating 360-degree excavators. This qualification ensures that we are able to complete any excavation work that is required as part of a project. Contact us now, in Whitstable, Kent, for more details about our domestic installation and property maintenance services. Although the primary purpose of a fence is to form a perimeter around your property or garden, that doesn’t mean that they have to be dull. Our tradesmen will tailor the design of your new fencing to suit your needs before removing the existing fences and installing their replacements. 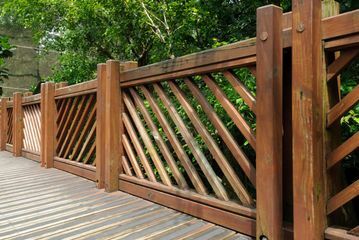 With our fencing, the appearance of your property will be enhanced as well as your security. For the safety of our customers and their families, we always complete work in line with the relevant health and safety standards. 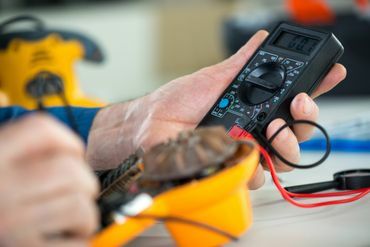 Our staff are fully trained in health and safety, and they complete any method statements and risk assessments that are required prior to the job commencing. 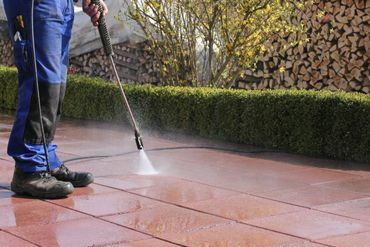 Over time, all surfaces become dirty, and that includes patios, driveways, and decking. Using the latest pressure washers, we will remove the top layer of dirt that has gathered on the surface. This includes debris, soil, algae, moss, and anything that affects the appearance of the surface. Once our cleaning has been completed, the surface will look as good as new.